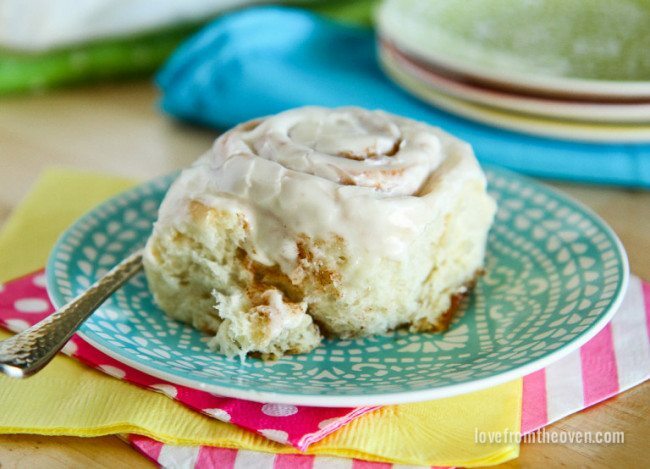 These cinnamon rolls are great for a holiday breakfast or brunch or whenever you want a delicious cinnamon roll. They can be made ahead of time and refrigerated until ready to bake. I made these cinnamon rolls this past weekend and they turned out perfectly. Using rapid rise yeast simplifies the recipe. The dough is soft and easy to work with. 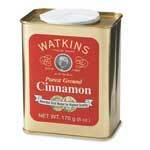 Watkins Cinnamon makes these rolls super delicious. Mix 1/2 cup butter, sugar and salt in bowl of a stand mixer. Add egg and mix. In a separate bowl, combine yeast and flour; mix thoroughly. Add flour mixture to butter/sugar mixture, then add warm water. Mix well until soft smooth dough forms. Dough does not form a ball. (I added an additional 1/4 cup flour because the dough seemed wet. Different kinds of flour have different moisture levels and moisture levels vary according to season. Use your best judgement.) Turn out on lightly floured surface. Dough is sticky. Knead until smooth. Cover and let dough rise for 15-30 minutes in a warm, draft free location. Punch down dough and let rest for five minutes. Roll into a 14 x 8-inch or larger rectangle (approximately) on a lightly floured surface. Brush with softened butter for filling. Combine 1/2 sugar, cornstarch and cinnamon. Sprinkle over buttered dough. Roll up from long side. Cut into 12 cinnamon rolls. Place cinnamon rolls in 13 x 9-inch pan that has been lightly brushed with butter. At this point you can cover rolls and place in the refrigerator to bake the following morning. Or, preheat your oven to 350 degrees F and let the dough rise for 30 minutes; then bake. If placing rolls in the refrigerator, remove from refrigerator ONE HOUR prior to the time you will start baking them. Let them rest in a warm, draft free location for 40-60 minutes, then preheat oven to 350 F. Once oven is heated, bake rolls for approximately 20 minutes (or until lightly browned). Beat softened cream cheese and butter with mixer until fluffy. Add in vanilla, salt and milk and mix until well combined. Add in powdered sugar and slowly beat with mixer until smooth and creamy. If you would like your frosting thicker, add more powdered sugar, one tablespoon at a time and mix well. If you would like a thinner frosting, add more milk, one teaspoon at a time and mix well, until desired consistency is reached. Once rolls are removed from oven, frost immediately or allow to cool slightly, then frost. Store any leftover rolls in refrigerator. I found the original recipe at Love from the Oven. Image courtesy of Love from the Oven. 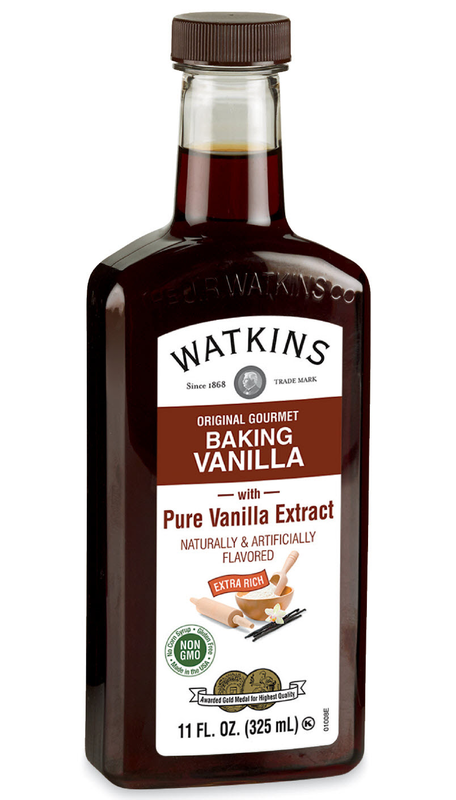 "Win Free Vanilla" is a monthly giveaway of Watkins products! 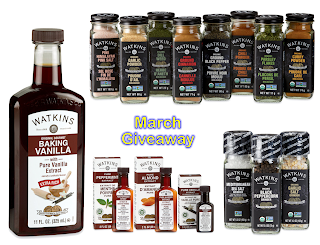 Enter to win a Watkins products assortment worth approximately $100. Sign up every month to win! You may sign up once a month for this giveaway. 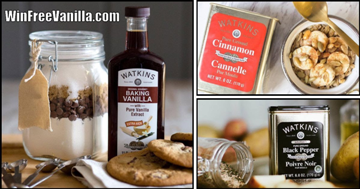 · Enter the contest at this web site WinFreeVanilla.com/335001 If your name is chosen you win $100 in Watkins products. Drawing each month. · Share your personalized link with friends and family and ask them to enter the contest. If their name is chosen you and they both win an assortment worth approximately $100! When you enter to win the monthly giveaway, you will be given a personalized link you can share with your friends and family. If your friend wins, you will also win a matching prize! Names chosen at random from entrants each month. You don't have to place an order to win but we certainly welcome all orders. 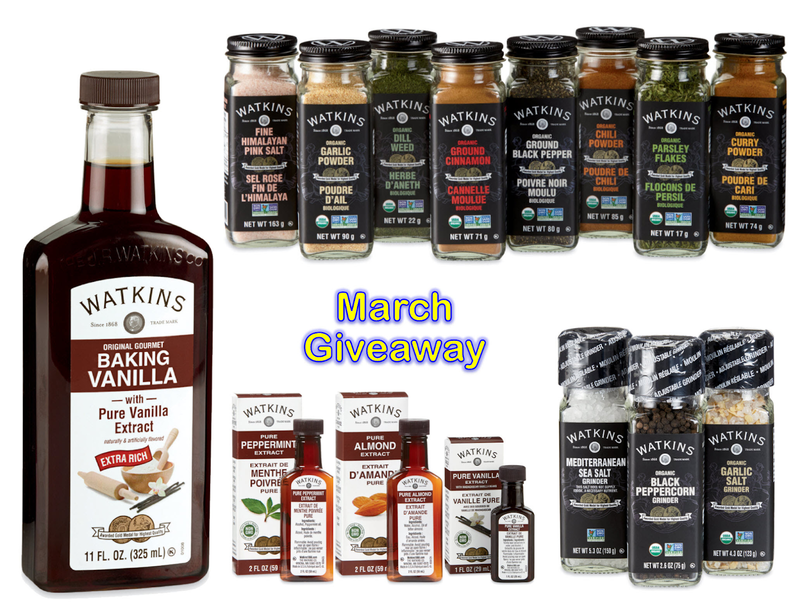 Here's the March assortment we will be giving away to two lucky winners. Sign up now for our monthly product giveaway. 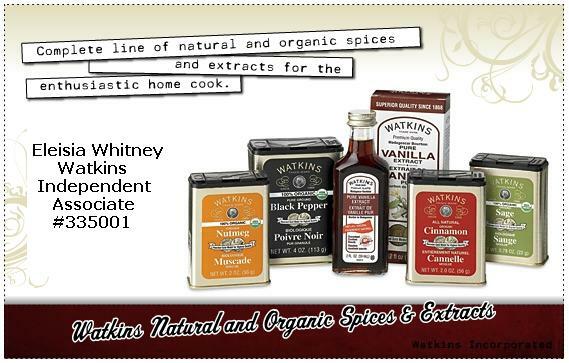 Each assortment will be worth approximately $100 of Watkins products! These assortments are provided by our upline leaders. My name is Eleisia Whitney and I'm an Independent Watkins Consultant (Watkins ID# 335001). 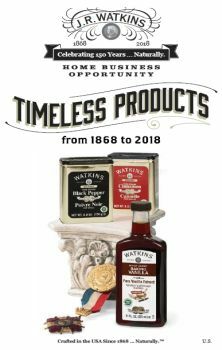 I'm looking for people living in the United States and Canada who would like to improve their lives by using Watkins products and building a profitable Watkins home business. General Disclaimer: "The statements made and opinions expressed on this page are those of the Independent Watkins Associate who is the publisher of this document, and are not to be construed as the statements or opinions of Watkins Incorporated."